Hey, F.A.B family! Ever wondered if there are any semi-anonymous online spaces dedicated to sourcing out cannabis-related products in your local area? Well, if you’ve spent any major amount of time browsing through online forums, you’ll know that one primary platform already exists – and no, it’s not Craigslist. ‘LeafedIn‘, the cannabinoid counterpart to the professional social network ‘LinkedIn’, is an invaluable service to stoners across the world. Even in places where the plant is yet to be legalised, the network has managed to coalesce and maintain a sizeable presence; albeit, with a lot less moderation and regulation than in places like the States (naturally). We at F.A.B advocate the wide-scale proliferation of such organised online efforts. When the drug is finally made legal across the globe, these websites will be of great utility for everyone looking to ‘get on’. However, for the time being, there are a few things you should look out for if you plan to use the service. The first thing to note about LeafedIn is that this particular method of sourcing is not exactly foolproof or safe in all circumstances. It’s difficult to determine exactly who you’re talking to, what their motivations are, and whether you’ll actually get your weed or not – particularly if you aren’t ‘in the know’. An interactive map of inner-city Brisbane, sourced from LeafedIn. Notice how many of the vendors have placed themselves on the outer ring of the CBD – this is a pattern that emerges due to the fact that only some of the vendors are actually legitimate. Many are just scammers. Apart from the obvious risk of running in with the law (PROTIP: KEEP AN EYE OUT FOR OBVIOUS COP-LIKE BEHAVIOUR), there are also other folks to be concerned about. Here are a few ways to identify them from the outset. There are a lot of folks out there who will string you along in a Wickr or Telegram conversation, acting like it’s all cool… only to notify you just before they’re supposed to ‘head off’ that they only accept payment with Steam, Apple or any other kind of gift card. They will ask you to purchase these cards; and once they have, they’ll send you a hyperlink to input the code into – by which point, you’ll never see that money again. Let alone your weed; most of the people engaging in these scams aren’t even local. You’re probably talking to a particularly savvy Malaysian teenager. My first experience with this kind of scam was in Sydney last year. I was shocked when asked to pick up some gift cards from the store. It was 8p.m., and by that point, the stores were closed… seeing as I didn’t know about this ploy, I was lucky to avoid being scammed. The worst part about all of this ‘steam card’ rubbish is that you can’t exactly dob these folks in… at least, not without doing yourself in. 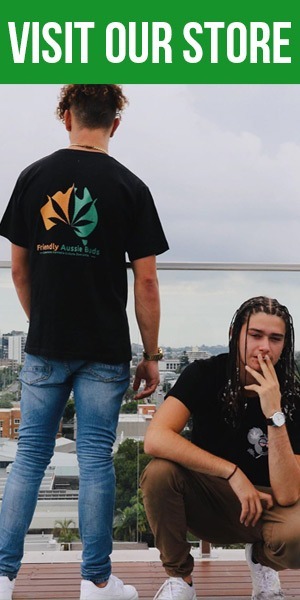 Seeing as the whole cannabis market in Australia is unregulated due to its legality, there are a great many associated risks that one must account for when using this site. Another telltale sign of scammers are when the vendors have an advertised list of multiple different popular strains… if they’re claiming that all of these high-quality strains are available, there’s a likelihood that their offer is too good to be true. Be cautious. A surefire way to make sure you aren’t scammed is to only engage in face-to-face cash transactions. If your vendor is requesting you send money to a PayPal or Venmo, think twice… if you haven’t yet got your weed, they could very easily run off with that money. The only way to really be sure is to exchange cash in person. Other users can indicate which vendors are actually worth your time. 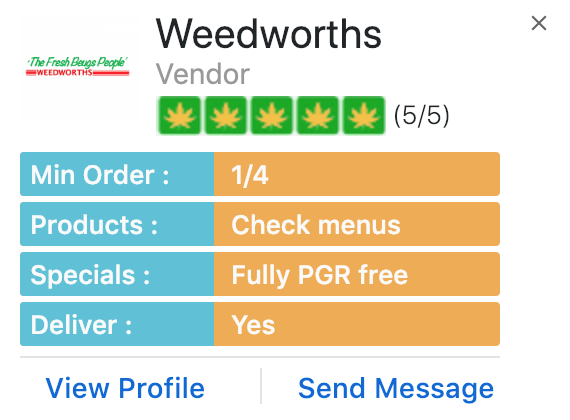 Look out for the ‘leaf’ ratings out of five on their profile, and read the reviews – unless the vendor has fabricated all of the reviews themselves (which should be obvious enough), you’ll be getting a better idea as to how trustworthy they really are. Additionally, if you wish to help out others in their quests, be sure to give trustworthy vendors a five-star rating. Another way of finding shifty dealers is checking their name in the blacklist. Those who have dealt with scammers before can dob them in on the site. You could save a lot of time and money just by copying their username in there – and you can assist others in doing the same by reporting any findings/experiences you may have. Again, this method isn’t 100% guaranteed to prevent you from falling into an unfortunate situation. The advice I impart is that you’ll need to accept a certain level of risk, and account for the fact that some people are just trying to take advantage of you. It’s a dangerous world out there… and all to consume a bit of plant matter. Ridiculous, hey. In the end, because this site is often poorly moderated and lacks any form of scam protection from the authorities, it’s advised that you be very careful and ‘on alert’ when you use these websites. 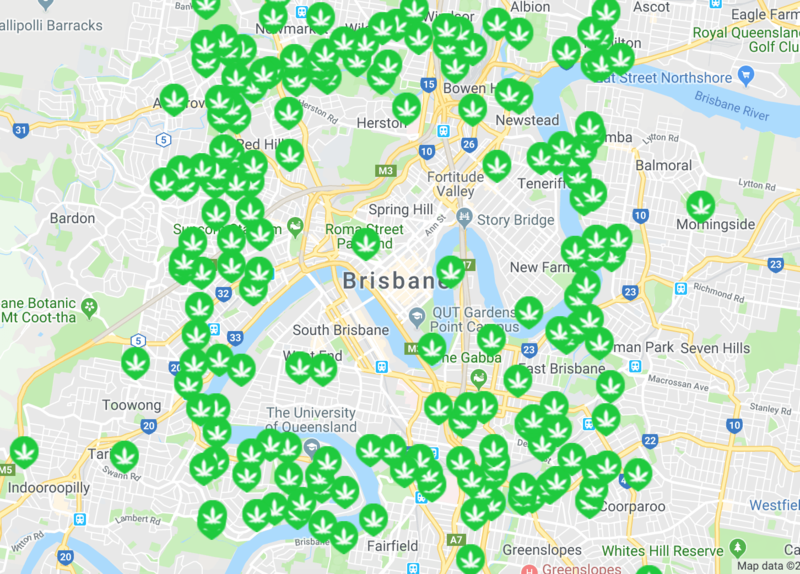 Additionally, the larger cannabis communities in Sydney and Melbourne tend to have more options to choose from – but so long as you’re in a built up area, there’s probably someone slinging. Does Cannabis Alleviate Period Pain? Any tips on how to pick up on obvious cop behaviour?